funny, i tried to make eggnog a couple of years ago and ended up with a very strong rum flavored drink. ill have to muster up enough courage to make it again from scratch! We drink eggnog (non-alcoholic) every year for Christmas. Of course, it is store bought. 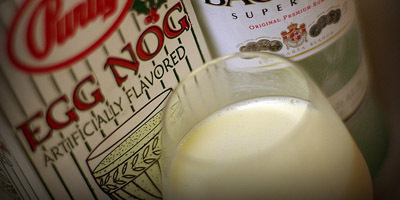 My family loves to keep the Italian traditions of the holidays but I am thinking of making eggnog as my new tradition! I love the stuff and always wished to have it available year round. Thanks to this video, I’ll be able to! I wonder if almond milk can be substituted for the cow’s milk? If not, I’d have to buy raw organic goat’s milk — trying to stay away from dairy for the new year! Thanks for the vid! !